Team Salty came out the winner in Europe's Salty Vs. Sweet Splatfest. 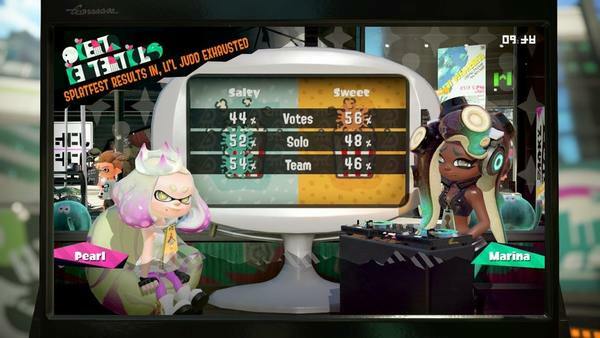 I would have fought for team Sweet, so everything checks out here. No matter what team I pick, it's destined to lose!